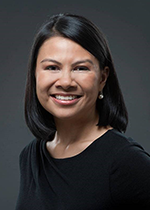 Catherine Trinh Michael is Senior Vice President of Public Affairs for NFIB. She is responsible for overseeing the organization’s communications and marketing which include media relations, digital and online communications, social media, and branding efforts. Catherine came to NFIB after heading communications and marketing for the American Apparel & Footwear Association (AAFA). She is a veteran public affairs professional with government, corporate, trade association, and public relations agency experience. Previously working as a consultant and at the world’s largest public relations agency, she executed comprehensive communications programs on behalf of private and public sector clients. She has also served in federal and state government at the U.S. Department of Commerce, the White House Office of Management and Budget, and the Washington State Senate. A native of Washington state, Catherine began her career working for the late Congresswoman Jennifer Dunn. She currently lives in Alexandria, Va., with her husband and two sons.